This is part 3 of my four-part series on the groups of tourist attractions that are the most popular in the Philippines. In parts 1 and 2 of this four-part series, we first looked at the best 8 beaches to visit in the Philippines in 2019. Then last week, we looked at the top 8 volcanoes to visit in the Philippines in 2019. This week we will take a look at the best 8 waterfalls in the Philippines (that I have been to). One of my favourite comedians uses a line in his routine which says something along the lines of “how can you be angry at a waterfall?”. He was trying to make a particular point in his routine but what he said is really true. How can you be angry at a waterfall? Waterfalls have a very therapeutic effect on us. It’s like hearing rain gently falling on a tin roof when you’re trying to get to sleep. For me, in particular, there is nothing more relaxing than watching the water flow gently down a cliff or rock face, finding its way, through gravity, to get from point A to point B. 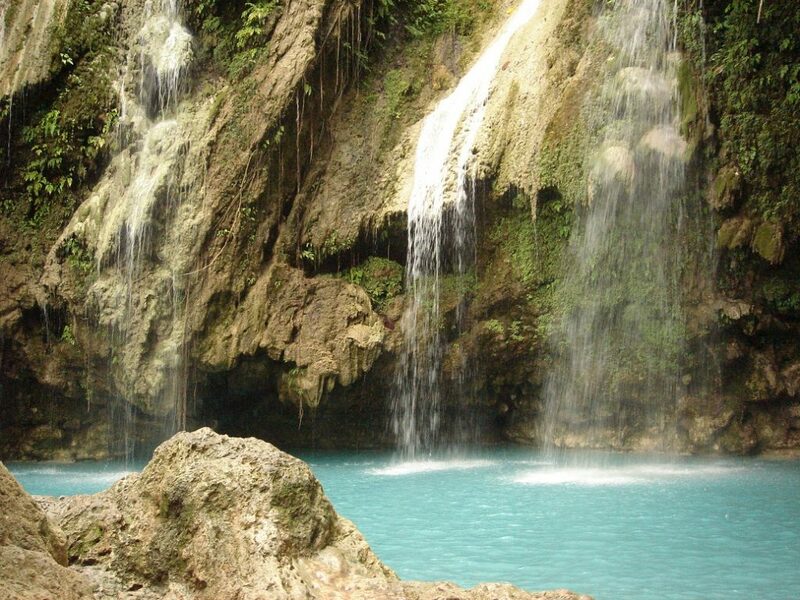 The Philippines is blessed with numerous waterfalls due to the geology and terrain of the country. Trying to determine the best 8 waterfalls that I have visited was not an easy task. There is quite a number of waterfalls that I didn’t include here, and there are much more that are on my “to do list”. Anyway, of the waterfalls I have personally visited, let’s take a look now at what I think are the best 8 waterfalls you should visit in 2019 (in no particular order). Some of these waterfalls are without a doubt the best places in the Philippines. 1). Katibawasan Falls (Mambajao, Camiguin). This was the very first waterfall that I visited in the Philippines way back in 1998. This waterfall, located on Camiguin Island, is absolutely amazing at around 70 metres in height, which is still the highest waterfall I have seen. A thin stream of water gracefully falls into the basin below and provides a spectacular effect. The basin is surrounded by lush foliage which includes elegant ferns and orchids. This really is one of the most spectacular waterfalls I have seen in the country. The best part about it is that there was hardly any tourists there. This was 20 years ago so things may have changed now. Katibawasan Falls is probably still my favourite waterfall in the Philippines. It is definitely the tallest I have visited and holds a special place in my heart. 2). Pagsanjan Falls (Pagsanjan, Laguna). 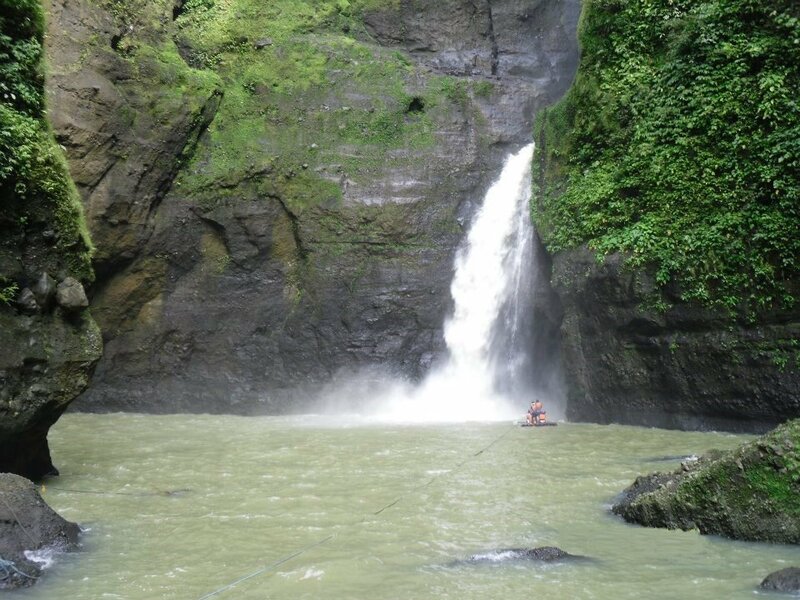 Pagsanjan Falls (also known as Cavinti Falls), is the most famous waterfall in the Philippines. This is known as a plunge waterfall and is very powerful. The most popular way to see it is to take a canoe up through the rapids. 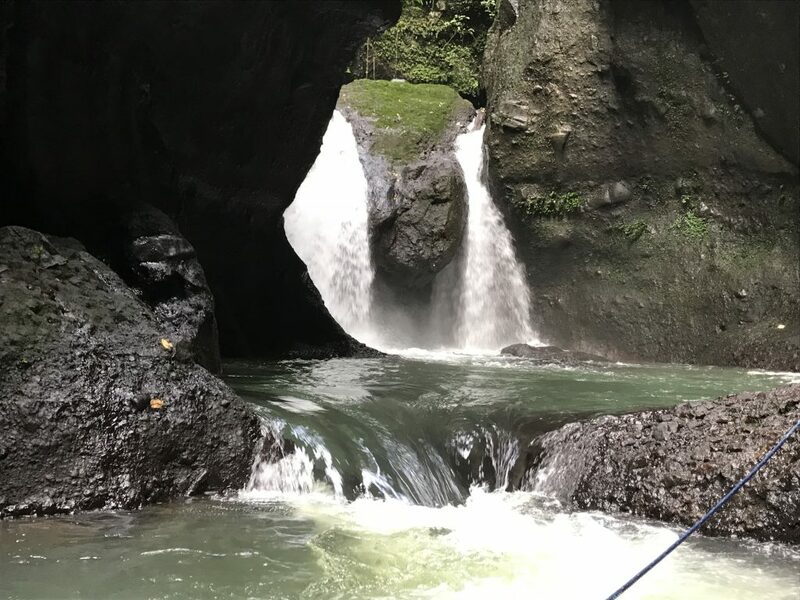 If you are feeling game there is a bamboo raft that takes you right across to the actual waterfall and the cave located behind it, known as Devils Cave. As you pass through the waterfall, you get to appreciate the full ferocity and power of it. The sound of the water as it crashes down is so loud that you can’t even hear people shouting at you. The mighty Pagsanjan Falls. The power of this waterfall is something to behold. 3). Buntot Palos (Pangil, Laguna). Buntot Palos is another very powerful waterfall. It takes quite some effort to reach this waterfall as you take a 2-hour hike through some pretty inhospitable terrain. However, it is well worth the effort. Such is the power of the waterfall you can hear it from quite some distance away before you even reach it. This is a horsetail type waterfall in which the water spreads out the further it falls. The basin then flows into another waterfall which doesn’t have a viewing area so is quite dangerous. This is a truly majestic waterfall. Buntot Palos Falls is another powerful waterfall with the water crashing onto the rocks below, and then cascading peacefull into the basin. 4). 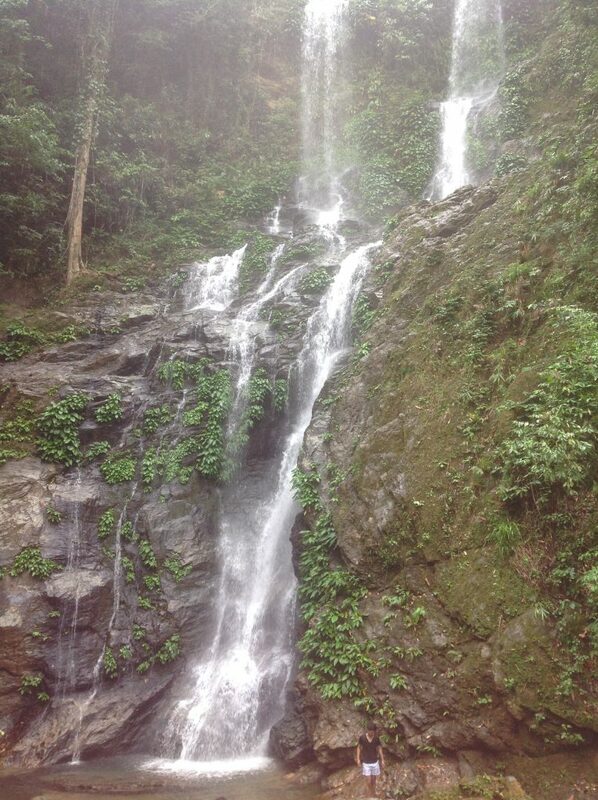 Mag-aso Falls (Kabankalan, Negros Occidental). I was absolutely blown away when I came across this waterfall hidden in the mountains of Kabankalan. This waterfall is three waterfalls in one and is very elegant. This is a cascading style of waterfall with the water trickling down the rock face. The water in the basin is an amazing turquoise colour and almost looks like the ocean. The water then flows from the basin into a stream which then, in turn, cascades over more rocks creating gentle rapids. Mag-aso Falls are very tranquil and peaceful compared to some of the other beasts. And how’s the color of the water! 5). Hulugan Falls (Luisiana, Laguna). This is right up there as one of my favourite waterfalls in the Philippines. Hulugan Falls is more of a curtain style waterfall and is probably 40 to 50 meters in height and about 15 to 20 metres in width. There is a little bit of hiking involved to get there however, it is nothing too strenuous and definitely worth it. The basin into which the waterfall flows is quite large and can be deep in parts. This then flows into a few multi-tiered mini falls before blending into the river. It really is a great place to chill out for an afternoon in relax in the bosom of nature. 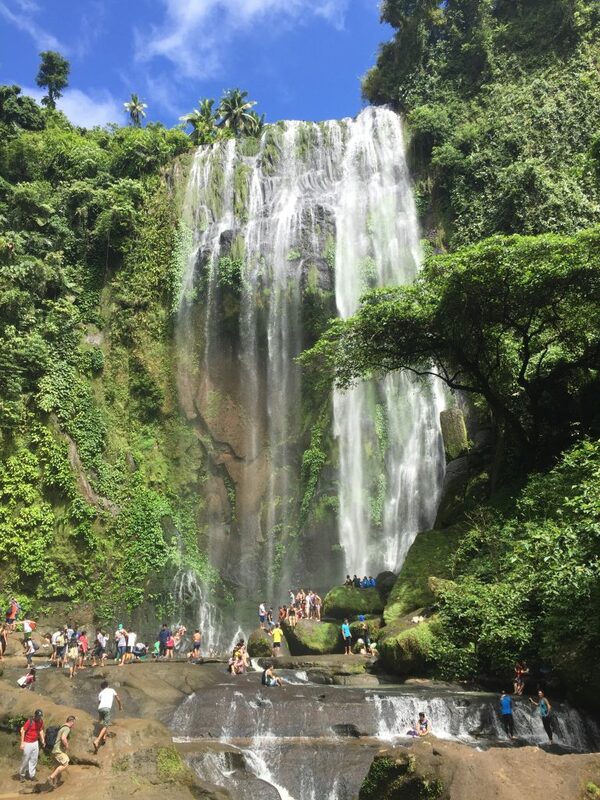 Hulugan Falls is only a few hours drive from Manila. 6). Batlag Falls (Tanay, Rizal). This waterfall is amazing as it has a separate series of about three waterfalls across a rock face 30 to 40 meters wide and approximately 20 meters high. The first waterfall is more like a horsetail waterfall, whereas the other two waterfalls are more of a cascading style of waterfall. One of the other two waterfalls has a rock shelter beneath it allowing you to be able to go underneath the waterfall yet be protected by the rock. Just like Mag-aso Falls, Batlag Falls has amazing turquoise colour water in its basin. Being located in Tanay Rizal, this is a place that can be easily accessed from Manila. 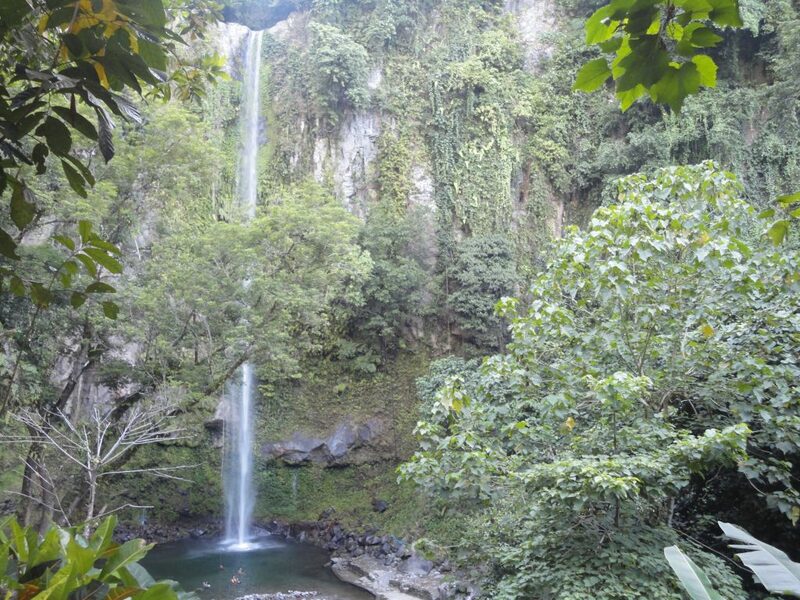 Batlag Falls is an elegant multi-tiered waterfall that has several main areas from which the water flows. Truly magical. 7). Tamaraw Falls (Puerto Galera, Oriental Mindoro). Tamaraw Falls is a very unique waterfall in that the stream actually flows under the main highway. This is a tall and elegant waterfall that cascades down the rock face in a few stages from two distinct falls. The stream it creates in its basin then runs beneath the highway leading to another waterfall on the other side of the road. However, there is no viewpoint for this section. You only get to watch the water disappear over the ledge. This really is one of the more unique waterfalls I have seen. Tamaraw Falls starts off as two waterfalls then blend into one by the time the water hits the basin. 8). 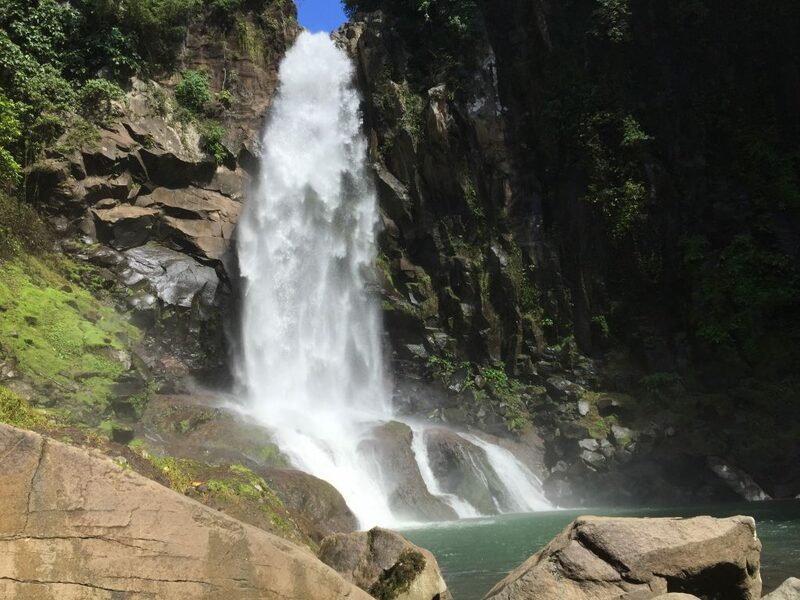 Ambon-Ambon Falls (Panguil, Laguna). Located on the other side of the mountain from Buntot Palos Falls is Ambon-Ambon Falls. Like Buntot Palos, this is part of the Pangil Eco Park reserve. 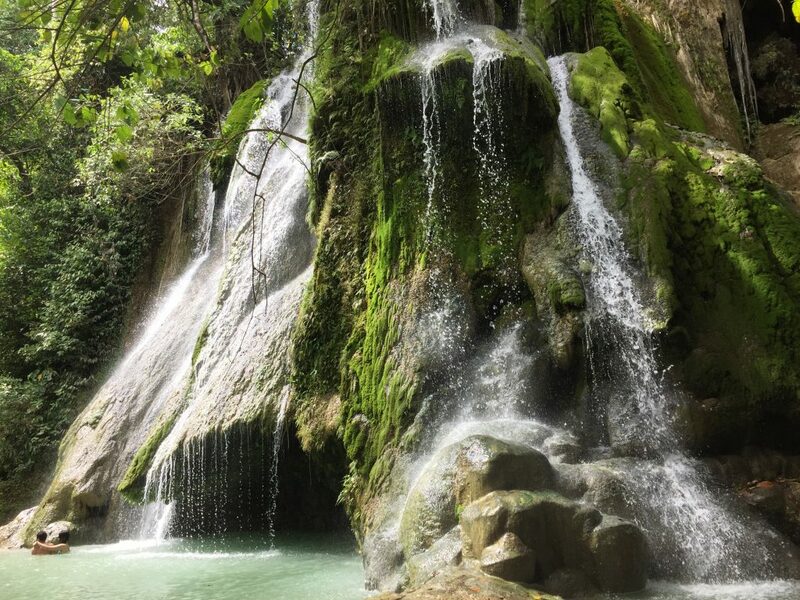 Ambon-Ambon Falls is definitely one of the more accessible waterfalls I have recommended in this blog. 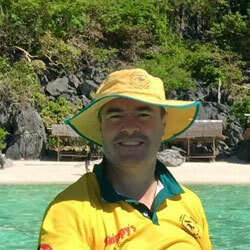 There are several water crossings involved in reaching Ambon-Ambon Falls which really does add to the adventure of it. The good thing about it is that when you reach the main waterfall, you can get access right up amongst it. It really is a spectacular waterfall when you get to experience the water splashing down on you. The trek to this waterfall is relatively easy and is one of the best waterfall adventures I have been on in the Philippines. Please check out the related articles below. Also, feel free to share this article with friends and also join the conversation below!